The Aurora DB453B is a semi-desk sized general purpose office calculator that has a large angled 8 digit LCD display to enable easy viewing. The calculator is designed for ease of use with large keys, large numerals and extra large commonly used keys, which all support fast data entry. There is the special ‘Tax’ function for VAT calculations and a ‘Mark Up’ key for calculating gross profit. In addition it comes with hard plastic keys for durability and rubber feet to ensure it is stable and easy to use on a desk. 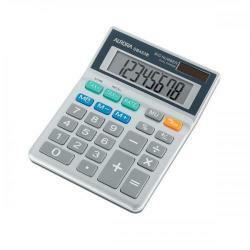 The DB453B is the best selling small desk calculator and represents excellent value for money.